The Canon CN-E 70-200mm T4.4 Compact-Servo Cine Zoom Lens (EF Mount) provides 4K and HDR–compatible imaging for Super 35-sensor digital cinema cameras. This compact, lightweight zoom offers coverage in the commonly used 70-200mm range. Its range can be further expanded using the optional Canon EF 1.4x III and 2x extenders (available separately). This parfocal cine lens maintains focus while zooming and has a constant maximum iris of T4.4 across its zoom range. Its color characteristics match those of existing Canon cinema lenses, making for smooth intercutting. Another cinematic feature of this zoom is its nine-bladed iris which can be used to produce attractive bokeh (out-of-focus highlights) effects. 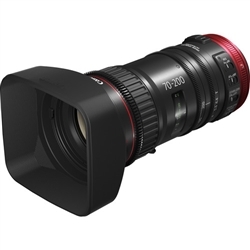 The 70-200mm Compact-Servo Cine Zoom features a click-less aperture, enabling iris control via a servo unit or wireless F/I/Z system. 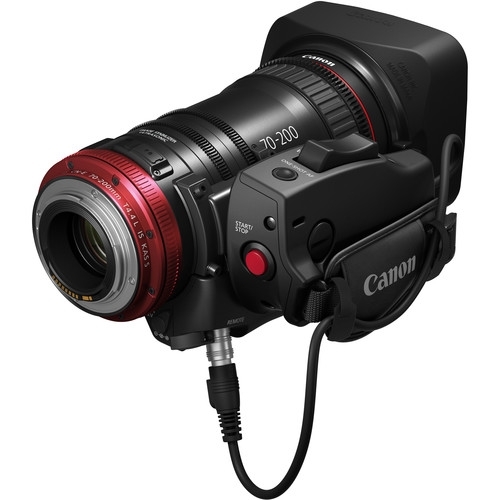 Even greater control options such as REC start/stop, handgrip focus and zoom control, lens metadata transfer, chromatic aberration correction, and auto focus functions are available through select EF-mount cameras. 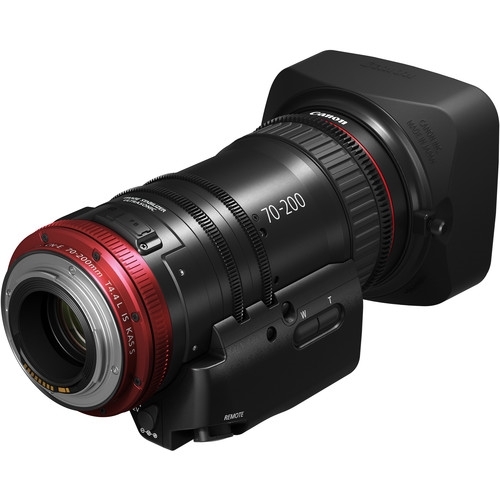 At just over seven inches in length and weighing under three pounds, the 70-200mm Compact-Servo Cine Zoom offers portability combined with a versatile focal length range and high optical performance.